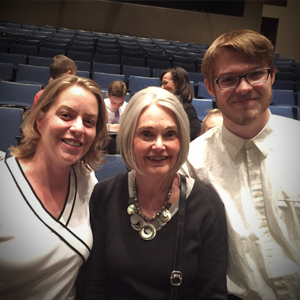 The Phoenix Music Teachers Association’s Piano Ensemble is one of the PMTA’s oldest and most beloved traditions. Beginning in 1952, it continues to strive to provide a unique ensemble performance opportunity for piano students, using a variety of musical genre. The PMTA Piano Ensemble has become well-known throughout the Valley as an excellent musical experience for both observers and performers. In recent years, world-renowned composers Kevin Olson, Robert Vandall, Melody Bober and David Karp have eagerly accepted commissions to compose specifically for the Piano Ensemble, and they have also been honored conductors at the concerts. This annual event is during February and culminates with two concerts held at a local high school. Students learn one part of an assigned duet. There are three rehearsals and a dress rehearsal the day of the Ensemble Concert. Students must be 8 years of age by September of the current academic school year in order to participate. Students are recognized with continuing participation with a 4-year, 8-year and 10-year trophy. The 8th, 9th, and 10th year students also receive a cash award. After five years, students have their photograph in the concert program. This will be the 39th year Carolyn Inabinet, NCTM, has entered students in this annual event. MWC Instructor, Michaela Hyde, participated in this event as Inabinet’s student for ten years. Micahela Hyde and Francisco Naranjo are on the PMTA Ensemble Committee. The 67th PMTA Piano Ensemble Concert will be held February 9, 2019. This event takes place at Arcadia High School, 4703 East Indian School Road. The Ensemble selection determines the rehearsal location. Students must be 8 years of age by September 1, 2018 in order to participate. Saturday | Jan 19, 26 and Feb 2. Thursday | Jan 24, Jan 31 and Feb 7. Once again, our own MWC instructor, Franciso Naranjo is conducting! He remains MWC’s most favorite conductor in this annual event. 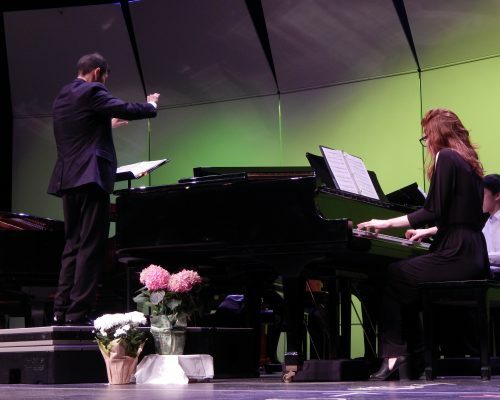 The National Guild of Piano Teachers Auditions are held each Spring across the United States. Adjudicators are sent to audition centers where they hear students perform 1 – 20 memorized pieces. The location for the North Central area of Phoenix, is Piano Gallery in Scottsdale. Students receive a report card with comments and a national guild pin. Why participate in National Guild Auditions? – Guild auditions are a good end-of-the-year ‘summary’ and give students a goal to work toward for May. – Participation in Guild Auditions is always a good addition to college applications. 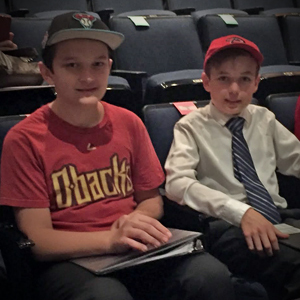 Guild auditions are held during the first two weeks of May in Phoenix. Schedules are sent out after enrollment. Each teacher is given a time dependent upon the number of participants. Auditions are held from 9:00-5:00. Students will need to be released from school approximately one hour including travel to and from the audition center. This event is sponsored by the Phoenix Music Teachers Association and is held the latter part of October. The purpose of the Fall Festival is to provide students with the opportunity for a private adjudication before a judge. Each student receives a written critique and either a Participation ribbon or a Bronze, Silver or Gold Medal. A recital and awards ceremony with Gold Medal winners is held the day following the auditions. Students can elect to perform two pieces from memory. Each year there is a Fall Festival ‘theme’ and repertoire is selected from a list of pieces. The repertoire is chosen from piano literature and does not allow popular music. If a student chooses only to have an adjudication and not be eligible for award medals, they may play with music and receive a Participation Ribbon. Music memorization automatically places students into a competitive event. The 2018 Fall Festival Theme is “Russian Composers and More…”. Auditions are held on Saturday, October 20 at Glendale Community College. 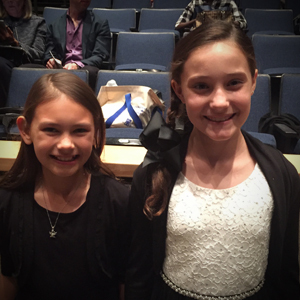 The Gold Medal Recital is held on Sunday, October 21 at Glendale Community College.